Wednesday may have been a holiday in the European Union, but the cyclocrossers who lined up for the 2017 Koppenbergcross were working overtime. The trip up the famed cobbles of the Koppenberg each lap made the races battles of mental and physical strength. Both the Women’s and Men’s races were can’t-miss events, with impressive strategy and well-timed attacks. In the Women’s race, Helen Wyman (Kona Factory CX Team) and Katie Compton (KFC Racing p/b Trek/Knight Composites) traded blows on the descents and climbs deep into the affair. 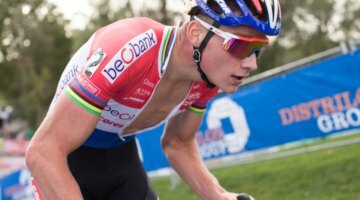 On the Men’s side, Toon Aerts and Lars van der Haar (Telenet Fidea Lions) did everything they could to knock off Mathieu van der Poel (Beobank-Corendon). 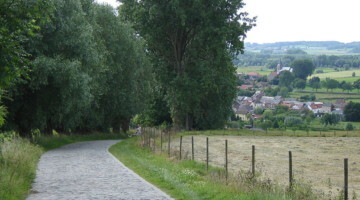 Replays of both races on the slopes of the Koppenberg are below.